Congregate Meals are served in community social settings such as senior centers, where people gather together. Our meals taste great, have no added salt, are low in fat (under 30% of total calories), and are modified for diabetics. Each mid-day meal meets the federal government’s requirements of providing 1/3 of the daily nutrients needed by an older American. The menus are determined monthly by the HESSCO Nutritionist. The HESSCO Nutrition Project Council provides regular feedback from consumers about our menus. Transportation to and from the meal locations are provided by Councils on Aging. HESSCO provides home-delivered meals to consumers who would otherwise have difficulty getting to one of the congregate meal sites. For those who are determined to be eligible, a hot meal can be delivered between the hours of 10:30 am and 1:00 pm. every day. Others with additional needs may be able to receive a frozen or weekend meal. Lunches are the same hot meals that are served at our congregate meal sites. Breakfast meals are also available. Volunteer drivers bring all of these meals to consumers’ homes. This person-to-person contact also serves as a check on the consumer’s condition. Please contact us to ask for an assessment if you or someone you know may be in need of home-delivered meals. Individual nutrition counseling is available by calling the Nutrition Department at HESSCO. The main phone number is (781) 784-4944. Nutrition presentations and cooking demonstrations are given at the meal sites. 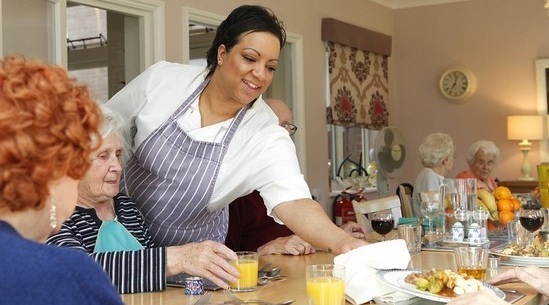 HESSCO hosts a number of social group meals which cater to the various populations we serve. LGBT Luncheons – “Lakeside Cafes” are held on the third Monday of each month at the Sharon Adult Center. Additionally, Tea Dances are held in the Spring and Fall. For a listing of additional local LGBT Senior Meals Programs Click Here. 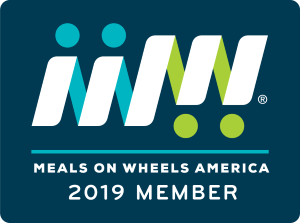 For more information on these social group meals or any aspect of the Nutrition Program, please call Jayne Davis, Nutrition Program Director, at (781)784-4944.